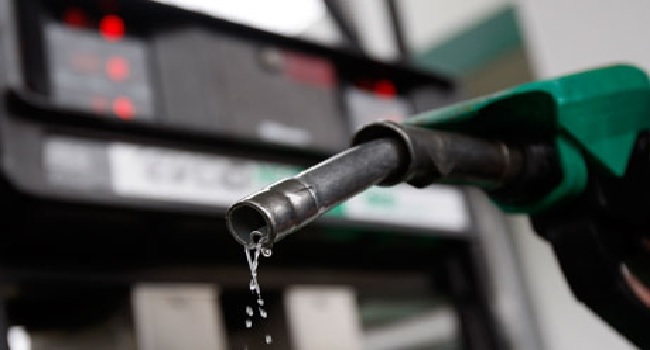 Association of Mega Filling Station Owners of Nigeria (AMFSON), have told the Minister of State for Petroleum, Dr. Ibe Kachikwu that if they are pushed to the wall they will mention names of those Nigerians sabotaging his efforts to end fuel crisis, but that heads will rolls in the oil industry and high places. Addressing a press conference Monday over plight of members of the Association to access fuel after several months of depositing millions of naira for supply, National Secretary of AMFSON, Kenneth Nwachukwu said his members had in recent past resisted the urge to mention the saboteurs even when the Minister insisted we mention names. Nwachukwu alleged that several trucks of fuel had been diverted into black markets by these perceived saboteurs at the detriment of mega stations owners and Nigerians in general. He pointed out that it was for incident of fuel scarcity that the immediate past government established mega affiliate stations in order to cushion its negative effect on Nigerians, and urged the Minister who is also the Group Managing Director to address plight of AMFSON members to help in ending the fuel crisis. He said, “The minister said we should mention names, but you know Nigerians, when you come out in public to mention names of the saboteurs, they can go after you, so it is something that if it is possible to do one on one with the Minister, we can tell him, there is nothing to be feared because we have evident of how fuel is being diverted into the black markets, we have evident of everything we are saying about this fuel crisis. “The ministers said we should mention names that if we mention name the person will not last 24 hours. But it is not proper to mention names in public, we are giving information, it is left for the Minister to go underground and work on the information and get to the root of what we are saying. We cannot come out to the market place and say this person is a thief. We don’t do thing like that, but if we are pushed to the wall, and mention names, heads will roll at NNPC Retail. “One of the ways to end this fuel crisis is for the Minister to come down to our own level and discuss with us, get the whole truth of the people that are sabotaging his efforts. If they supply fuel to our affiliate stations, there will be no scarcity again. This is what the immediate past government was doing with us in time like this. “The NNPC Retail will take this fuel meant for us to the black market, and still end up spoiling our names as if we are the one diverting the fuel, the fuel that was not delivered to us, but distributed somewhere else in our names. This is corruption in the highest order. “We are now crying out, we met twice with the Minister of State for petroleum, Dr. Ibe Kachikwu, and we told him that NNPC Retail staffs have refused to bring us into the mainstream of fuel distribution. But they can’t be the accused and the Judges, and everything at the same time. “The petroleum product belongs to the government, it belong to the people, so these staffs should not keep it to themselves, we should know how it is being distributed. We should know the quantity that that is available, and we should know that this is the quantity you are giving to us being the marketers, you cannot wake up one morning and say you gave us five million trucks. Who did you give them to? He asked. “Sometimes it is our names they used in bringing out that product, but it never got to us. “When we met the Minister for the first time, around October last year, we discovered that the NNPC Retail staffs deceived him to embark on building new 800 filling stations, but it does not make sense to build 800 stations when the old ones on ground have not been serviced. “So when we met him, we told him about our own plight, that these staffs believe that NNPC Retail belong to them, and not to Nigerian people, they believe that it is their birth right, staffs that are earning salaries. “We told the Minister of our problem that these staffs refused to work with us as an Association, they prefer to work with us on individual basis, so that if you are dying as an individual, you can’t talk, and if you talk, they drive you out of the business. Since there is strength in unity, they don’t want to deal with us as an association. “So the Minister told them in our presence he saw nothing wrong for them to work with us as an association than as an individual. He said that they should go and work with us. So we left. “May be they went back to poison the Minister’s mind because since that time our problem became worst, they just abandoned us completely. For more than six weeks now, some us deposited N10 million, we cannot access fuel. So how can we keep quite over these issues. “Again we wrote to the Minister, and we met, and he was seriously disturbed by what is happening. We reported back to him that NNPC Retail staffs have refused to with our association. And he was furious and asked them what is wrong with working with our association. “The Minister therefore told them to go and set up a committee that will comprise our own members so that we should be able to monitor the product, even if it means offloading the product at a particular depot from where we can load our own supply. “The minister handed our issue to a new Chief Operating Officer (COO) who now told us that he will call for dealers meeting and not association meeting. “But we were surprised at this because we are registered association, so nobody can stop us from being an association. This matter had dragged us and the NNPC Retail to the National Assembly where the Senators settled the matter that we have 600 mega stations and the Corporation has only 37 Mega Stations, and that we should be given supply too even if it is 50 to us and 50 to them. “Sometimes you see 10 trucks of fuel packed at Mega 1, while none of our members has fuel. And by night the Mega 1 will sell off these 10 trucks to the black market. “You cannot solve fuel scarcity in this way unless you allow the supply to go round. But you pack 10 trucks in one place, whom are you deceiving, and by night you send the trucks to the black markets”.